if you have any brochures for Reliant Regals not detailed on this page or for those where scans are not present in the catalog then please click here. 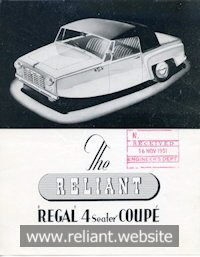 Notes: This brochure is dated 1951 and predates the production version version of the Regal by 2 years. 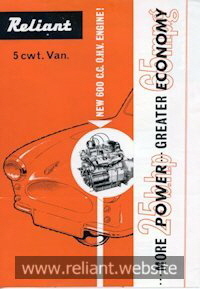 All the statistics on this brochure refer to the prototype version and not the production model. 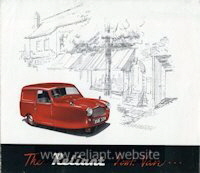 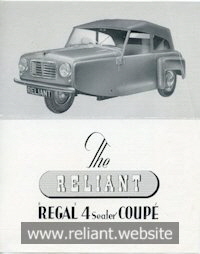 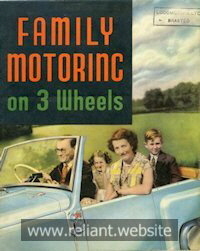 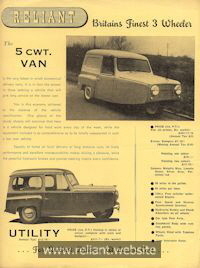 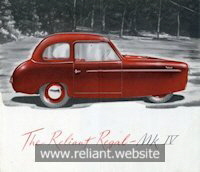 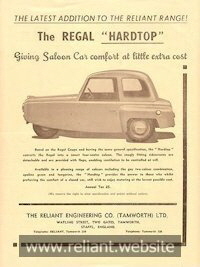 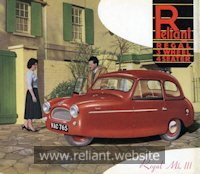 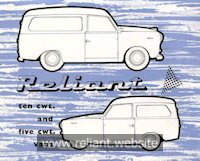 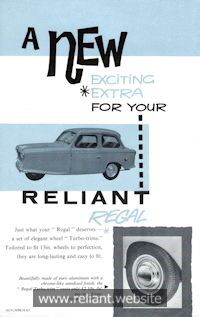 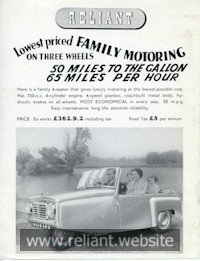 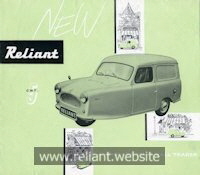 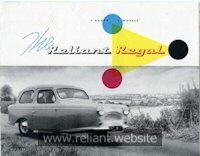 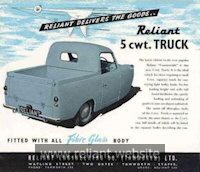 Notes: This was Reliant’s first all colour brochure though the images were taken in monochrome and colorised afterwards. 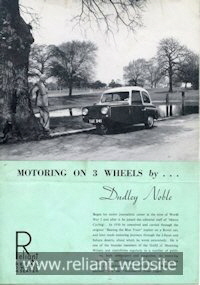 Thanks to Leslie Gobbett for donating this brochure. 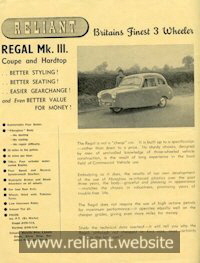 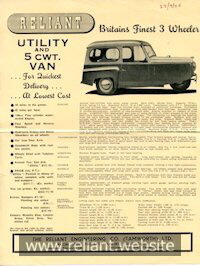 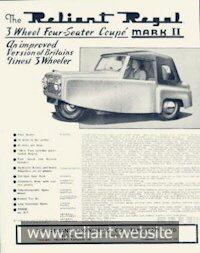 Notes: The Regal Mk VI-A van was a stop gap until a new van version of the Regal 3/25 arrived. 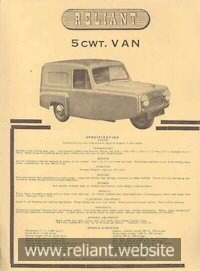 Only 500 Mk VI-A vans were made and so production was very limited.